Plaque in the front entrance of "Nyrambla" at 21 Henry St.
No. 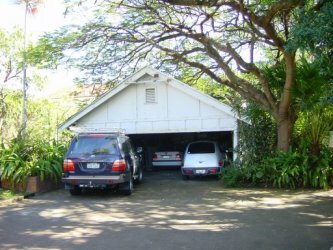 11 Australian Cypher Section established itself in an old garage at the rear of a large two story house called "Nyrambla" at 21 Henry Street, Ascot. 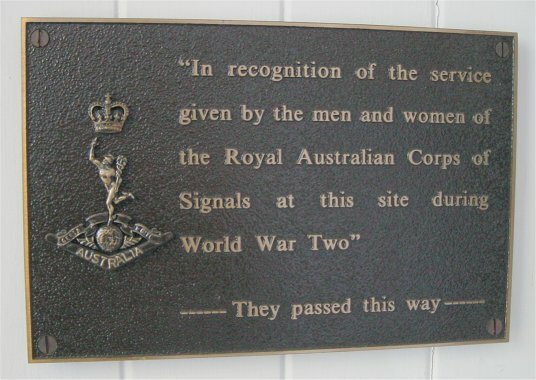 The garage was filled with Typex machines which were operated by some Australian Women's Army Service (AWAS) personnel. The AWAS worked around the clock shifts. Each shift consisted of 12 women and several male cypher mechanics. Their messages went out to Washington, India and to UK - Bletchley Park GCCS. The Officer in Charge was Captain Ian Allen (or Allan). The garage had previously been occupied by IBM tabulator machines operated by Central Bureau, one of General Douglas MacArthur's secret intelligence units. The IBM machines were relocated to the Fire Station at Ascot Park.